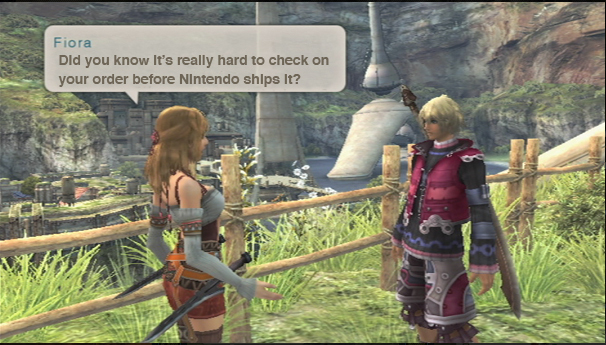 The game in question, of course, is Xenoblade: Chronicles, and we should narrow the scope of this coming complaint/rant to Nintendo of America. I really have no idea how the Europe and Japanese sites handle selling games, so we won’t even speak of that. So as we know, after some nerdrific whining by the populace, Nintendo decided to release Xenoblade in the US through both their website and in partnership with the infinitely evil Gamestop. Knowing that I didn’t want to go the Gamestop route, I ordered the game through Nintendo like a good human being, thinking that they would have a good system in place to do so. That line of thinking might only have taken place because I wanted it to be that way, however. One thing that I generally enjoy about shopping online is the ability to check on the status of my order at any time and make changes if need be. The email above makes you feel like that opportunity exists. “Oh, I can follow this link to check my status? 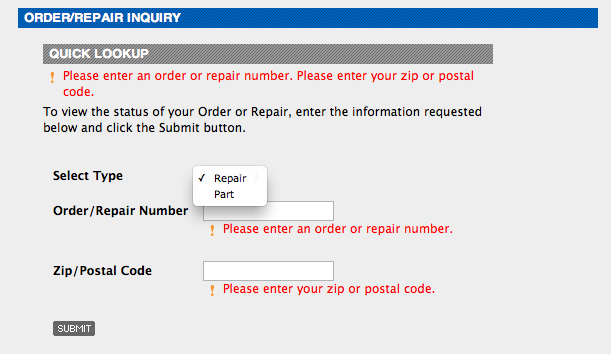 Ok, seems fair.” Following the link takes you to a place where you can input your order number and see what’s up (which until this last week or so didn’t take you to the proper place), but the line about having to email them to check on whether your address is correct gave me pause. Why would I have to email someone? Why not have a system to let me check that myself? In an effort to double check because I was then nervous I had made a huge mistake, I emailed Nintendo to verify my address. After two days of waiting, I learned that I was way awesome at putting in my address. But the process certainly could have been easier. It’s not as if they have a system called Club Nintendo that already has a database of my information that I can verify myself… Upon writing that last sentence, I double checked that that was actually the case, and sure enough, I am looking at an account page that has my address listed. It would have been nice to simply have had the option to log in with my Club Nintendo credentials, but that might have made Nintendo qualify Xenoblade as a game. 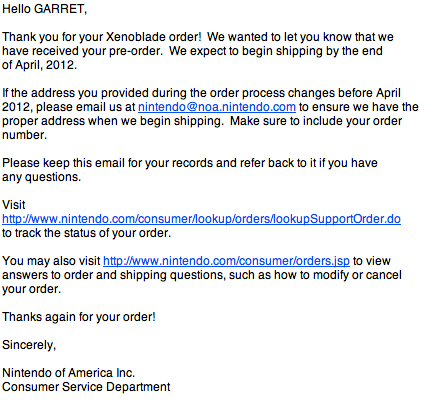 Above is how you, in the case of Xenoblade, check on your order status. Apparently the game is just a part like any random battery or battery cover. I actually cannot harp too hard on this set up. The last game I can think of off the top of my head that Nintendo sold themselves online was Electroplankton, so having a drop down specifically for games would probably hardly be used. But it still stands that a better system certainly could be utilized. This would not have to be just for games, but parts and repairs as well. Using Club Nintendo credentials to keep track of things like this would be a great way to tackle ordering from NoA considering they certainly can keep info about you as there are good stats on the 78 games I have registered with them since 2005. But if Wii points and DS points are separated for no good reason, then I suppose this makes sense, too. The argument for change on the way Nintendo handles the selling of games is certainly pretty high up on the First World Problem scale. “I had to email someone and it was terrible!” My shipment will arrive, and the system does work. But in looking towards areas that could be improved, here is an example that might help the consumer better if streamlined a bit. Because, really, I do not want to have to purchase thins from Gamestop.